The Ferrari Owners Club- Florida Region invite you to join them for another spectacular exclusive Ferrari’s only event, on St. Armands Circle!! The event will take place in the picturesque Circle Park of St. Armands with over 75 Ferrari’s competing for the coveted “Best of Show”. Cars will be on display starting from 10:00am until 4:00pm. 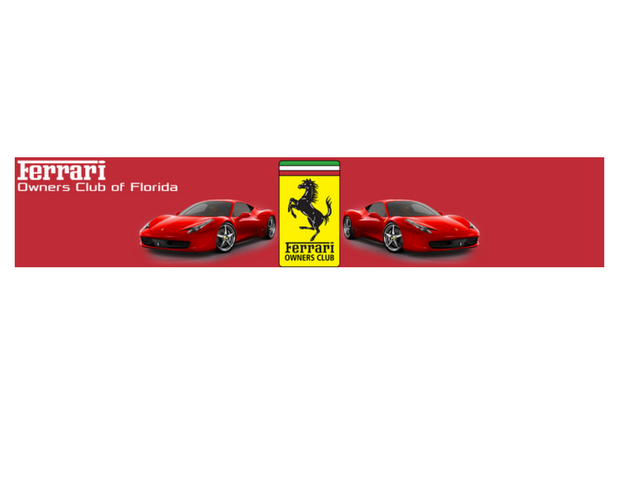 The Florida Region of Ferrari Owners Club is a local chapter comprised of members who live in Florida and Puerto Rico. For more information you may call (727) 525-1901 or www.focfloridaregion.com .